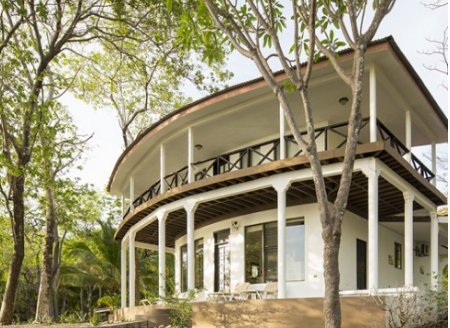 Sugar Beach Resort is an eco-friendly boutique hotel on a secluded Pan de Azúcar Beach. 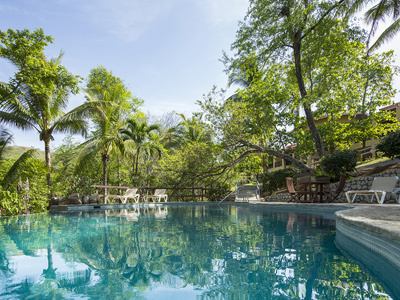 Within its 24-acre tropical gardens, there are 28 comfortable guest rooms, suites and two beach houses to choose from. We can happily accommodate various preferences (including dietary) and ensure privacy, intimacy and personalized service! 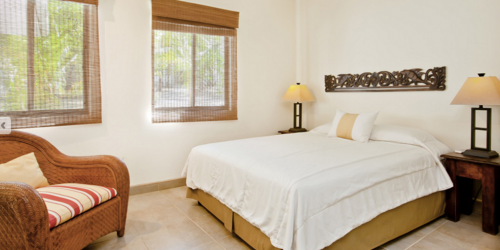 All of the guest rooms/suites have been designed with your comfort in mind, located just steps from the shores of the warm waters of the Pacific Ocean and the soothing sands of Playa Pan de Azúcar. 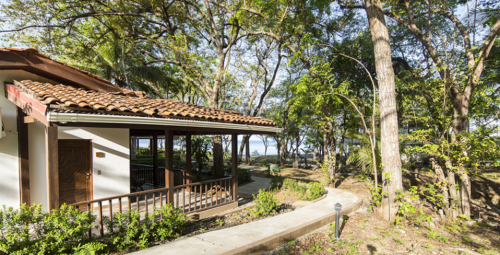 The resort shares the forest with monkeys, iguanas, coatis, exotic birds, and the beauty and abundance of Costa Rica’s Natural World. THE RATES SHOWN BELOW INCLUDE ALL WORKSHOP FEES AND ACCOMMODATIONS. All prices are shown in U S dollars. RATES DO NOT INCLUDE: Air Fare, tips, additional activities outside of those scheduled for the retreat. * Please plan on budgeting $75-$100 extra for tips, as this is a way to support our eco-commerce and tourism. ** On Wednesday, February 20 (our group outing day), activity choices range from 0-$100. * Rest assured that all dietary needs and restrictions are easily taken care by the staff at Sugar Beach Resort. GARDEN VIEW ROOMS: Includes 3 meals per day, all retreat offerings as listed & taxes! 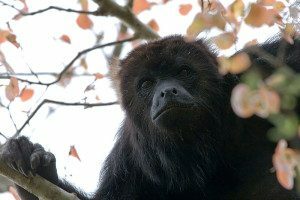 Located in a luscious garden area, a popular hang out for the Howler monkeys! All of the rooms have 2 Queen beds and a deck to relax and take in the view. OCEAN VIEW ROOMS: Includes 3 meals per day, all retreat offerings as listed & taxes! These are splendid, spacious rooms with fantastic ocean-front views. 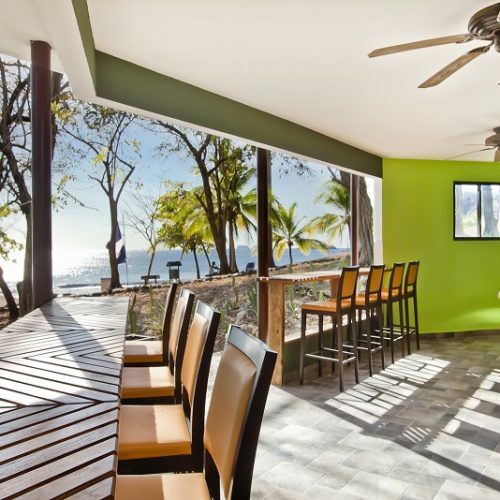 All are tastefully decorated and face the ocean with a deck to relax and take in the view. Each room has two Queen beds. THREE BEDROOM BEACH SUITE ~ MAXIMUM 6 PEOPLE: Includes 3 meals per day, all retreat offerings as listed & taxes! The ocean front Beach Suite can comfortably accommodate up to six guests. 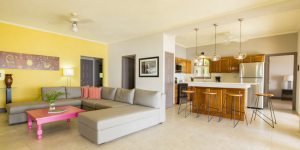 Located just steps from the water at the heart of the cove, the house is bright and fully appointed with kitchenette, living room, and large patio. The air conditioned master bedroom has a Queen size bed and an ensuite bathroom. The other two air conditioned bedrooms, one with two Queen beds and the other with two single beds, share a bathroom. This suite is idea for families or groups of friends who want to share common areas. * Contact Susann for pricing for this accommodation. Includes 3 meals per day, all retreat offerings as listed & taxes! 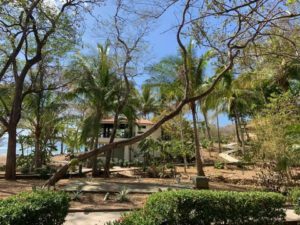 The large beach house is tucked away at the far southern end of Playa Pan de Azúcar, and can comfortably accommodate a group of 10 people. 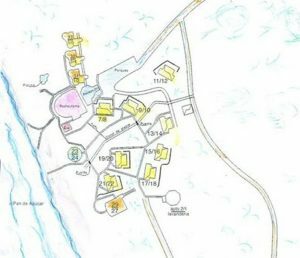 This is ideal for a group of friends who would like to stay together or for large or combined families. 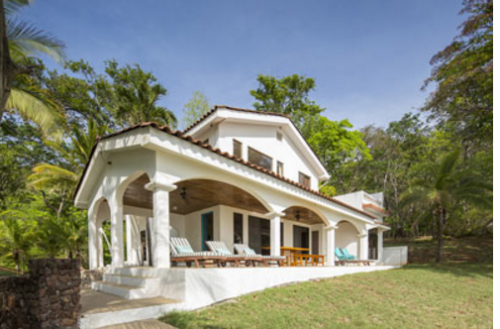 Just steps from the water, this secluded Spanish colonial house has five bedrooms and three bathrooms; this includes a master bedroom with ensuite bathroom, with both shower and bathtub. 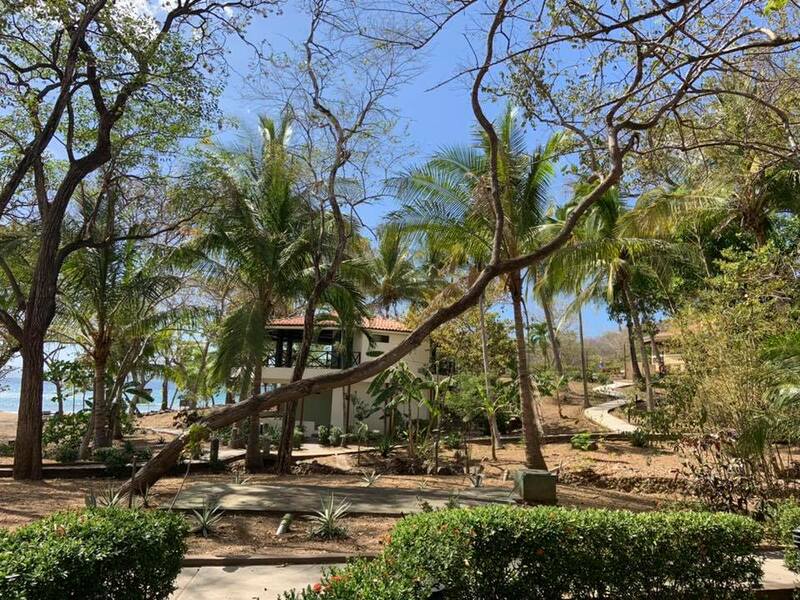 The house is fully appointed with a living room, dining area, fully-equipped kitchen, balcony and large patio from which to enjoy the privacy and beauty of the cove, as well as panoramic views of the Pacific sunset. “The week at Sugar Beach in Costa Rica was so fulfilling and amazing. The people in our group were insightful in a variety of ways: spiritual, physical and intuitively. We learned so much from each other. The week was filled with encouragement, support and love from our leaders and ourselves. 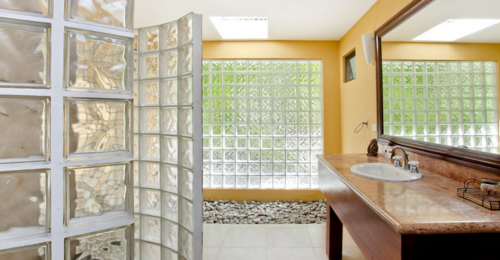 “Susann holds a beautiful, loving space. Her playful nature allows for gentle transformation to unfold in each of us. The Costa Rica setting at Sugar Beach is spectacular and very beautiful. The beach is swimmable and we had lots of fun in the waves.